Hide this Project (Omshakthy Elite) Discover properties in other projects by hiding the ones that doesn't interest you. You won't see them in your searches further but you can unhide anytime later. Hide this Dealer (johnsi rani) Discover properties by other dealers by hiding those whom you have already spoken to. You won't see them in your searches further but you can unhide anytime later. 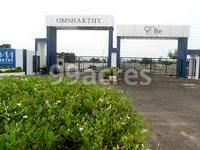 Omshakthy Elite is one of the residential development of Omshakthy Agencies, located in Chennai. It offers residential and commercial land. The project is well equipped with all modern amenities and 24 x 7 security service to facilitate the needs of the residents. Padappai situated in southern fringes of Chennai is one of the developing locality of the city. Availability of land parcel has escalated the growth. The locality is connected with Chennai-Outer Ring road to the other part of the city. The locality is also in close proximity to Arignar Anna Zoological Park which is one of the places of interest. Despite being the low-density population in this area, it is getting healthy demand from home buyers due to the availability of affordable homes. Where is Omshakthy Elite located? The project is located in Padappai, Chennai South. How much is the total size of Omshakthy Elite?The project is spread over an area of 55.0 Acres. How many units are there in Omshakthy Elite?There are 500 units available in the project. Does Omshakthy Elite have lawn tennis? The project doesn't have lawn tennis. Is Omshakthy Elite vastu compatible? The project is not compatible with Vastu. Om Shakthy is a renowned builder group in the Chennai city. The team work with integrity for interior designing and customer support for their residents. The company's vision is to offer appealing and structurally solid homes that are always a delight and preference for end users. The ability to undertake projects of varying budgets and preferences makes it a leader in our niche. Om Shakthy has a lot of ongoing projects that are on full swing of construction.